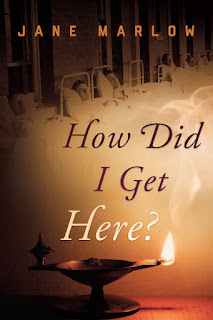 Pick of the Literate: Q&A with Jane Marlow, author of How Did I Get Here? Q&A with Jane Marlow, author of How Did I Get Here? A Q&A with Jane Marlow, author of How Did I Get Here? 1. What inspired you to write How Did I Get Here? While I was conducting research for the first novel in the Petrovo series, Who Is to Blame, I kept bumping into this thing called the Crimean War. Eventually, I realized it simply had to be the backdrop of my next novel for two reasons. First, the Crimean War was the guinea pig for a myriad of innovations that forever changed the face of warfare. The second factor that grabbed my attention and wouldn’t let go was the War’s magnitude as a gruesomely ugly historical reality. Not only was the carnage on the battlefield hideous, but an even greater number of fatalities were attributable to disease, malnutrition, winter exposure, and lack of competent leadership. Not until World War I would more people die as victims of war. 2. What led to your fascination with Russia in the 1800s? I trace my interest back to 6th grade when mother dragged me kicking and screaming to a professional stage performance of Fiddler on the Roof. But as my feet began tapping with the music, I experienced the proverbial smack-to-the-forehead. I was just at the right age to gain an inkling of understanding about prejudice, suppression, rural culture, and the deep-seated role of religion. 3. You researched the book thoroughly. Did you know when you started how extensive your research would become? Research turned out to be a little more problematic than I expected. Although I located a modest number of books and articles, the Crimean War doesn’t play a prominent role in US history, and I was left with many uncertainties. I attempted to locate a graduate student in the US who would proofread my manuscript for historical accuracy but found no takers. I ended up consulting with the Crimean War Research Society in the U.K. I’m particularly grateful for their expertise for the chapter that took place at the Malakov bastion. 4. What is one of your favorite stories or details about life in 19th century Russia? While conducting research, I was taken aback by the fact that prostitution was a regulated business in Russia during the 1800s. For example, in order to control syphilis and other venereal diseases, prostitutes were required to be examined periodically. Their customers, however, had no such obligation. The policy seems akin to placing a dam half-way across the river, doesn’t it? My third book in the Petrovo series offers readers an insider’s view of a Russian brothel. 5. Where did you begin your research and where did it lead you? Any advice for other authors writing historical fiction? My research began way back in the late 1980s. Because the Internet wasn’t an option in those days, I scoured the library for books and articles. Thank goodness for the Interlibrary Loan program! I also took a sightseeing trip to Russia which included spending time in the rural farmland that serves as the setting for my fictional village of Petrovo. Nowadays, I’d urge any historical fiction writer to befriend their local librarians. They know the ins and outs of the various online databases. 6. What was it like writing from the perspective of a male character? Any challenges? Such a daunting undertaking for a senior-citizen woman to plunge herself into the mindset of a young, virile male! One tool I used was to read and reread Jonathan Tropper’s novels. His flawed, lustful protagonists crack me up! 7. What distinguishes How Did I Get Here? from other narratives about the Crimean War? American authors have produced very little in the way of fiction set in the Crimean War; therefore, it’s a wide-open canvas. Second, my novel doesn’t end with the war. It shows a veteran’s struggle with the then unnamed consequence of war, Post-Traumatic Stress Disorder. Third, as a veterinarian, I felt compelled to demonstrate the agony war inflicts on animals. My eyes tear up every time I read my own passage in which the protagonist has to kill a horse that was injured in battle. 8. As a writer, how do you weave fact and fiction into a novel? Conceptually, it’s easy if your mind is prone to flights of fancy. However, meticulous research and double-checking is required if the characters are well-known persons or if the setting is a well-documented event. Imagine being an author (i.e., me) doing research on a war in which one of the military forces used Old Style while the opponents used New Style. Additionally, some authors mark their books, articles, and online resources with either N.S. or O.S., but other authors don’t deem it necessary to specify which calendar style they use. Then try to coordinate actual events (some N.S., some O.S.) into a fictional narrative in which timing was crucial to the story. My sanity underwent a notable decline in during this period of writing. 9. Were there any unexpected obstacles you encountered when you began writing How Did I Get Here? The same aspect that I hope will attract readers—a story about a little known but ghastly war—was also a hurdle—finding detailed depictions from the Russians’ point of view. 10. What do you hope your readers will get out of the novel? Second, malevolence and injustice can mold a child, but fortitude plus a helping hand can remake the man. Third, every person is obligated to give back to society. And not just according to what he received from it, but at a higher level. Fourth, a better understanding of the demons of war as manifested in Post-Traumatic Stress Disorder. 11. Who’s a character from the book you wish you could meet? I relish 10-year-old Platon’s inquisitiveness, boundless energy, and joie de vivre. In fact, I’d adopt him if I could. But since I can’t, I’m entertaining the possibility of writing a book with him as the protagonist, so I can watch him mature into a man. 12. What was your favorite novel growing up? By the time I reached junior high, I was ready to put the Nancy Drew series behind me. Being a typical girlie-girl, I was forever enamored by the first adult, mainstream novel I read, Gone with the Wind. 13. What authors/books do you draw inspiration from? 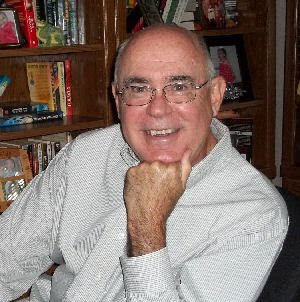 If only I could be as talented a writer as Pulitzer Prize-winner Richard Russo!. During a seminar on writing fiction, the instructor told us that taking pen in hand and writing and re-writing good passages from favorite books would promote brain neuron connections that would improve our own writing. I must have copied the same passage from Nobody’s Fool at least 200 times! 14. Can we expect more books in the Petrovo series? You bet! The third novel in the series will offer an insider’s view of the seamier side of 1870s Moscow. 15. Where can readers find your books and learn more about you? Both novels are available in paper, Kindle, and Audible formats on Amazon. If your local bookstore doesn’t stock the book, request that it be ordered. For more about me as an author, plus a few chuckles from Slavic Slapstick, as well as jaw-dropping tidbits about historic Russia, visit my blog at www.janemarlowbooks.com, and subscribe to my free, no sales gimmicks, no obligation e-newsletter with quarterly in-box delivery.